Geneva Cleaners Services, we provide more than you think. 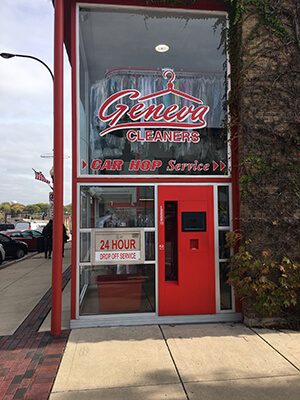 For over 50 years, Geneva Cleaners has provided dry cleaning services to Geneva and the surrounding communities, including Batavia and St. Charles. We are dedicated to reducing our environmental footprint in our offerings such as; car hop drive-up service, express bag service, same day service, shirt service, drapery cleaning, wedding dress cleaning, wedding dress preservation, alterations, tailoring, fire restoration services, and more. We do this by using low-impact cleaning products, state of the art machines, and reduction in excessive paper and plastic waste with increasingly popular “Express Bags”. We understand how valuable your time is, which is why we offer our complimentary Car Hop Drive-Up Service. We provide each Car Hop customer with a high denier laundry bag to protect your clothing and make the hand off easy. Our staff will come out to your vehicle and pick-up or drop-off your dry cleaning. Simply sit in the comfort of your car and we’ll do the rest! 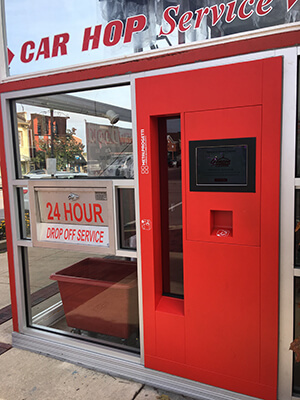 We take drive-up service to the next level so you don’t feel like your dry cleaning is another daunting task. Our staff will have you taken care of in a flash! Save time with our Express Bag Service. We provide you with a high denier laundry bag to protect clothing and make the hand off of your dry cleaning quick and easy. 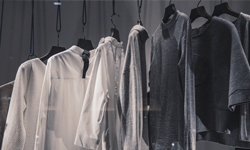 With your own unique tag and bar code, your dry cleaning can be easily tracked during the process and garment preferences are saved in your profile so we can ensure you get just the service you desire. 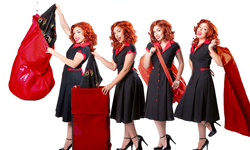 Use your Express Bag for walk-in service as well as our complimentary Car Hop Service. Stop in for your FREE express bag soon and let us start spoiling you! When you are in a rush or have a fashion care emergency, we are here to serve. We can have your entire order cleaned, pressed, and ready to go the same day it’s dropped off (Monday through Friday only). Just have your order in before 12:00 pm and we’ll have it ready to go by 4:00 pm. Rest assured, not only do we work fast but we also work with great care and quality. Spots and stains will be removed and everything will be pressed to our usual high standards. Quick and convenient does not mean compromised quality! 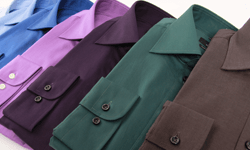 We launder your shirts in-house with our state of the art laundry systems. Attention to detail is always paramount. We carefully inspect your shirt for stains and pre-treat before cleaning. During the laundry process we take great care in using high quality detergents and make certain your shirt is cleaned to perfection. After cleaning, your shirt is pressed in a four step process and inspected once again for quality. We want your shirts to be perfect, from collar to cuff and all the buttons in between! Leather and suede are outward statements of you and your personality. We make sure fine outer wear stays in the best condition possible for your enjoyment. These garments are restored to like new condition. 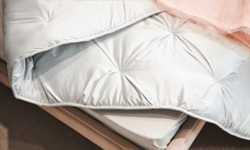 Nap on fine suede is gently raised where needed, high gloss on your best black leather is reapplied and faded dyes are restored to their like new luster. 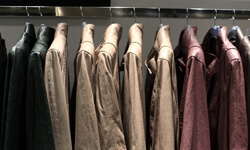 We also have seasonal storage available for fine outer wear – ask an associate for more information! Draperies are a big investment and major part of your decor. Sun, humidity, soil, dust, and pollutants damage drapery; make it look faded and allows it to hold allergens. Clean regularly to extend the life of your draperies and reduce allergens. 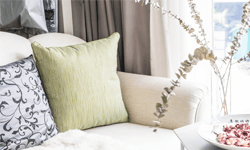 Using the highest standards for household textiles, we help keep your decor fresh to extend your investment. 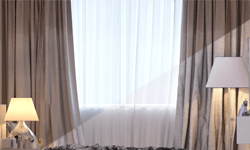 To prevent excessive damage or fading, rotate different sets of drapes periodically or with the seasons; making sure all are cleaned before storing. Broken feather shafts in down filled pillows can be like sleeping with a porcupine. 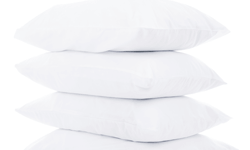 Even the finest duck and goose down can clump and make your favorite (and expensive) down filled pillows uncomfortable. Working on only one pillow at a time, we open the ticking of your pillow and removing all of the contents. We tumble the down and carefully comb out the broken feather shafts. During the tumbling we also break up clumps of down. Feathers are then sterilized so they are germ and odor free. Finally, we replace old worn out pillow ticking with new feather and down ticking for renewed comfort! Coverings of decorative pillows are often made with upholstery fabrics and decorative materials. Many are not supposed to be cleaned unless the manufacturer recommends a procedure. Harsh cleaning can destroy fabrics, loosen or dislodge decorative trim, and damage internal stuffing. We use the best industry practices, secrets of the trade, and skillful care to restore your decorative pillows. Our knowledge of unique dry cleaning tactics and understanding of textiles, helps ensure you get the most beauty and years from your home decor investment! Much like your draperies and decorative pillows, special bedding requires special attention. We clean your comforters, blankets, duvets, afghans, and quilts with the most effective and safe practices. Our process removes dust and allergens leaving your bedding fresh and clean. We are also skilled in methods of cleaning that preserve their heat retaining qualities. Quilts are especially susceptible to dye bleeding since fabric components may vary. Remember, it is best to keep comforters, blankets, and heirloom quilts out of direct light to prevent irreversible damage to the fabric. When disasters such as fire, flood, and mold occur; we help restore your valuables. We have a division devoted to restoration. As a member of Certified Restoration Drycleaning Network (CRDN), we work with you and your insurance carrier to restore more than garments and textiles. Our knowledgeable restoration representatives understand your needs and develop a plan to efficiently get your belongings back in your home quickly. Visit our restoration page for greater detail and to submit a claim. Some garments are more important than other. 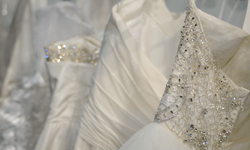 We are experts in cleaning and preservation of wedding dresses and heirloom garments. We help you and your bridal party with cleaning, finishing, and executing last minute touch-ups or alterations. After the celebration, we delicately clean and preserve your wedding dress. Remember to heirloom garments like: Christening Gowns, Varsity Jackets, Flags, Antique Quilts and more. Ask about our heirloom services the next time you visit. 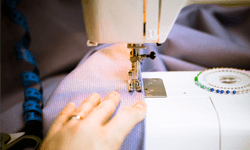 Missing buttons, loose hem, ripped lining, or a little too big… our expert tailor can perform all sorts of alterations to save your favorite garments. Alterations and tailoring are done the way they should be — quick, convenient, and affordable. We can also repair some household textimes. No need for an appointment — just stop in and let us take care of you! With over 40 years of impeccable alterations and a reputation for unsurpassed quality, we strive to change your idea of professional tailoring.